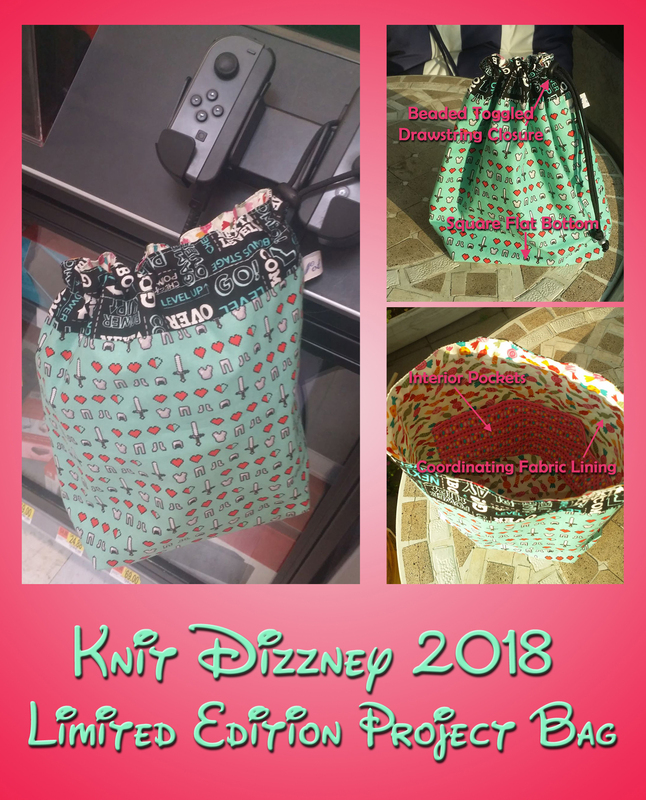 Just a quick recap of the amazing Knit Dizzney 2018 Limited-Edition Swag! Additional details and pricing information can be found in the original post. 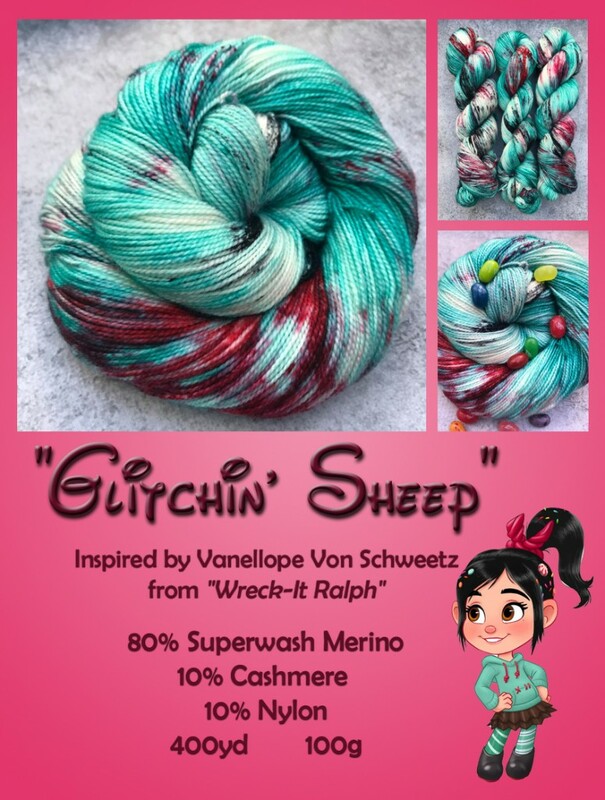 If interested in the yarn only, it can be purchased separately at Lazer Sheep’s Esty Shop. Otherwise you can use the pre-order forms. Once again the incomparable Silvia of Not Knots created this year’s coordinating project bag! Availability is severely limited, so only one bag per person, or per bundled package, on a first-come-first-served basis. For more information, please see the original blog post. If you don’t want to miss out on your 2018 Limited Edition Project Bag, order early using the pre-order form linked at the end of the post. 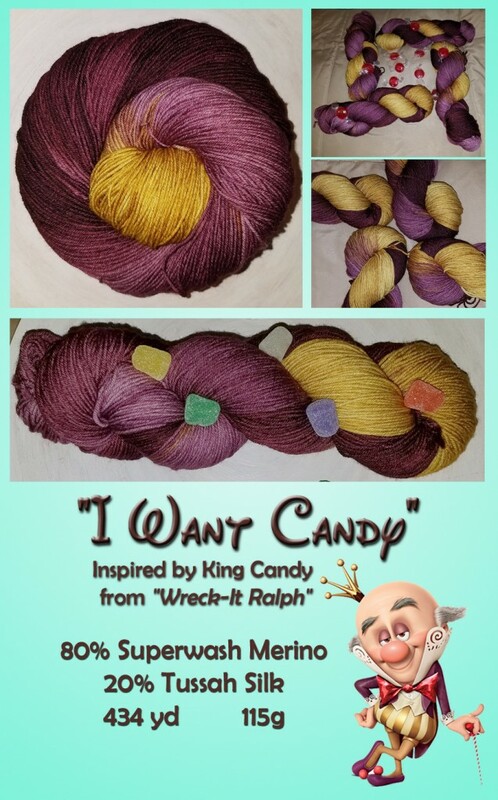 Finally, “I Want Candy!” from Dizzy Blonde Studios is a wonderfully luxurious SW Merino/Silk sock yarn inspired by the ruthless and quirky King Candy. Please see the original post for additional details and pricing information. If interested in the yarn only, it can be purchased separately at Dizzy Blonde Studios. Otherwise you can use the pre-order forms. The deadline for pre-orders is August 23, 2018.